Nasdaq-listed information security company Imperva Inc. has entered an acquisition agreement with technology investment firm Thoma Bravo LLC, the company announced Wednesday. Thoma Bravo will pay $55.75 per share in cash, for a total deal value of around $2.1 billion. The deal is expected to close in the fourth quarter of 2018 or the first quarter of 2019, and the agreement gives Imperva’s board and advisors 45 days to “shop around” for another offer. On Nasdaq’s Tuesday’s market close, Israel-based Imperva stood at $43.06 per share. Following the announcement, Imperva closed Wednesday at $55.11, a 28% increase. The Redwood City, California-headquartered company originally founded in Israel develops and sells information security software for databases and web apps. It currently employs 400-500 people in Israel in two research and development centers. Imperva listed on Nasdaq in 2011 at a company value of $400 million. In 2016, Elliott Associates LP, a unit of activist hedge fund Elliott Management Corporation, disclosed a 9.8% stake in the company, stating it believes it is “materially undervalued.” Elliott pushed for far-reaching changes in the company, including layoffs, resulting in nine executives leaving Imperva one after another, among them the company’s Israeli co-founders and its CEO. Elliott has since offloaded some of its stock, holding on to a stake of around 5%. The last quarter of 2017 was Imperva’s first quarter to report profitability. While the company reported a $23.1 million GAAP net loss for the second quarter of 2018, on Wednesday it announced that based on preliminary financial information, it expects total revenues in the range of $90 million to $92 million in the third quarter, above analysts’ expectations. According to Wednesday’s release, Imperva will delist and operate as a privately-held company under its current administrative team if the deal goes through. 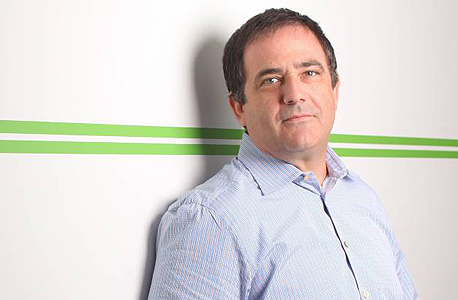 Thoma Bravo which manages over $30 billion in assets, already holds several cyber companies including DigiCert Inc. and Bomgar Corp.
Imperva’s co-founder and former CEO Shlomo Kramer is one of Israel’s most prolific and well-known tech entrepreneurs and cybersecurity angel investors. A co-founder of Check Point Software Technologies Ltd. and an investor and a former board member at Check Point's rival, Palo Alto Networks Inc. In February 2014, Imperva announced the acquisition of cybersecurity startups Skyfence Networks Ltd. and Incapsula Ltd. Kramer, then Imperva’s president and CEO, was a founding investor and board member of both companies. Imperva’s stock fell by as much as 66.8% in the following months, leading Kramer to step down in August that year. In 2015, Kramer founded Tel Aviv-based Cato Networks, a company providing software-defined wide-area network (SD-WAN) security, of which he is the CEO. He sold his entire stake in Imperva for around $90 million in January this year.